Energy Saving Engineering(ENG-1) - Taijune Enterprise Co., Ltd.
Taijune specialized in engergy saving engineering for years. With our experience and technology, customers can bring their existing boilers to a more fuel-saving operation. Our service starts from cost-benefit analysis,feasibility study,engery saving equipment design and fabrication, installation and performance testing. 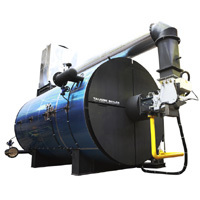 Typical application are, for example, combustion system retrofit, air-preheaters and feed water preheaters. With these, fuel cost can be saved as much as 4~6%.